图库插图: Flat design concept vector illustrations. 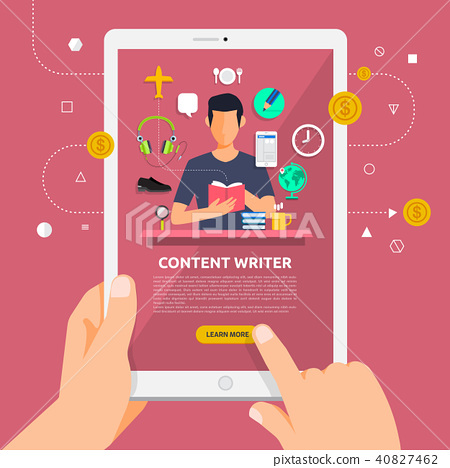 Flat design concept learnning about content writing online with hand hold tablet. Vector illustrate.